Oregon Women for Agriculture had their February State Board meeting at the Capitol. Afterwards OWA Legislative committee members went around and visited legislators. 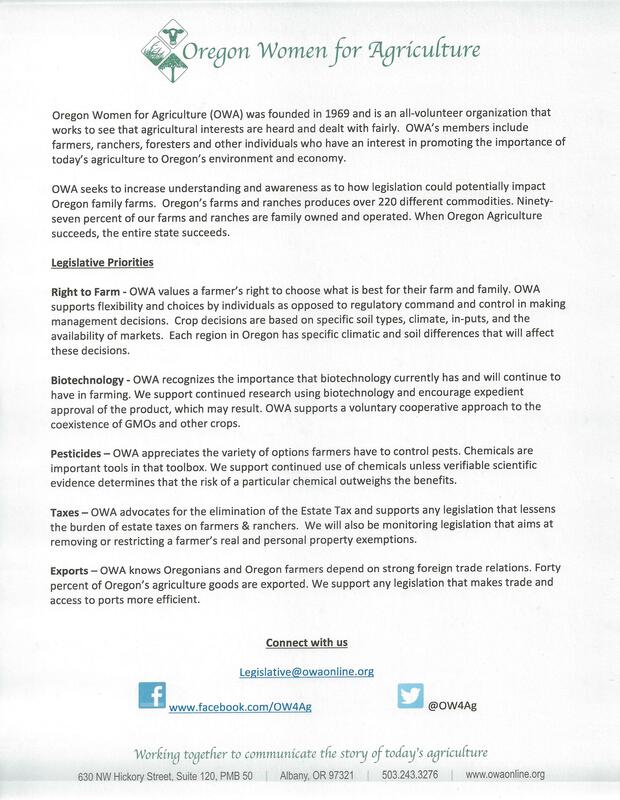 The committee handed out a save the date to OWA Auction, a cd with our Celebrate Oregon Agriculture videos and a letter explaining our legislative priorities.